Interested in converting more leads? 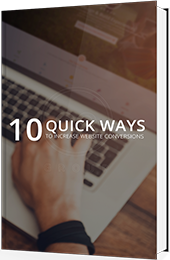 Simple tips can increase your site's conversion rate overnight. Start converting more leads today! © 2001 - 2015 New Possibilities Group, Turning possibility into reality.